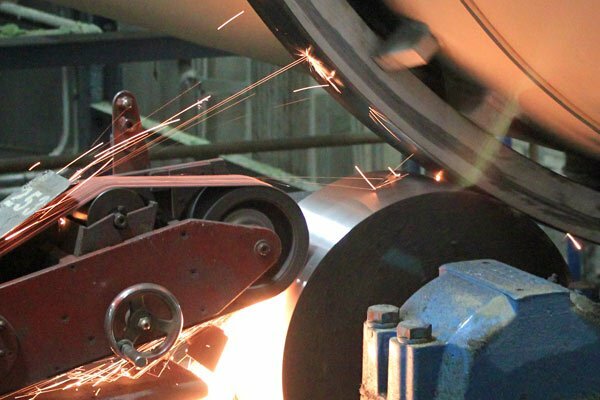 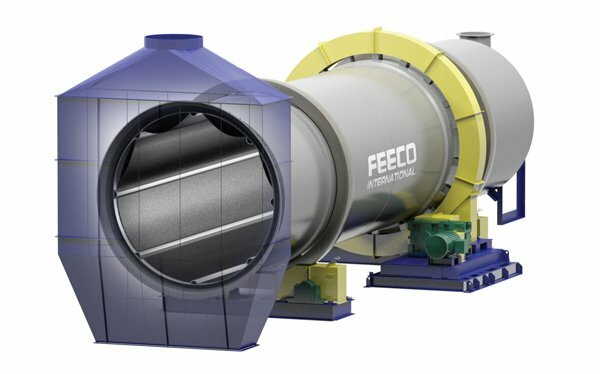 FEECO agglomeration drums are relied on around the world for their robust build, high capacity processing, and opportunity for customization. 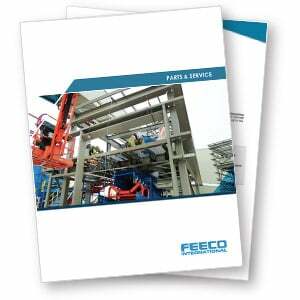 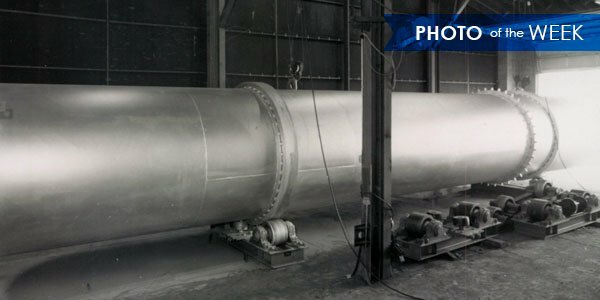 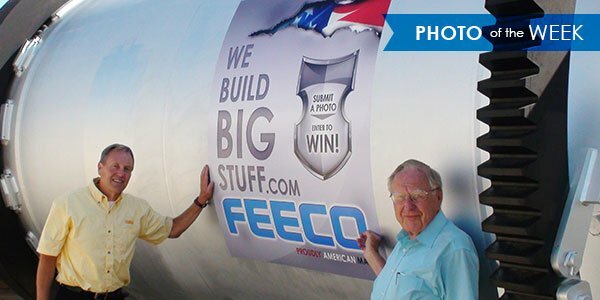 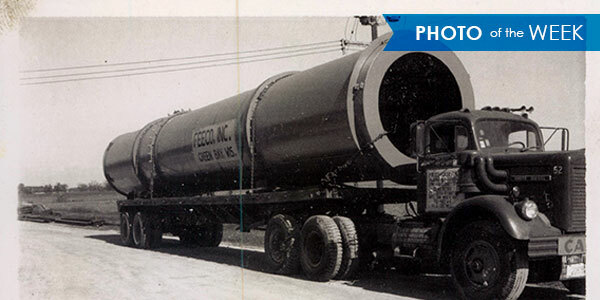 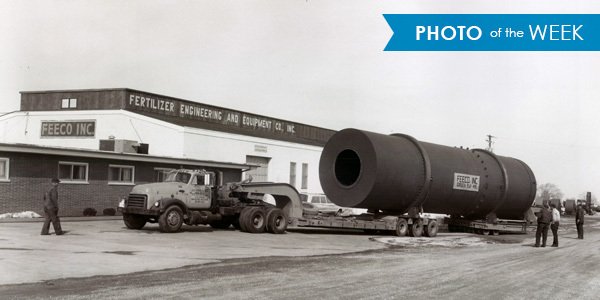 FEECO has been building agglomeration drums since 1951. 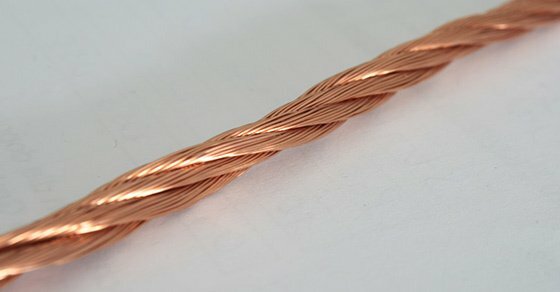 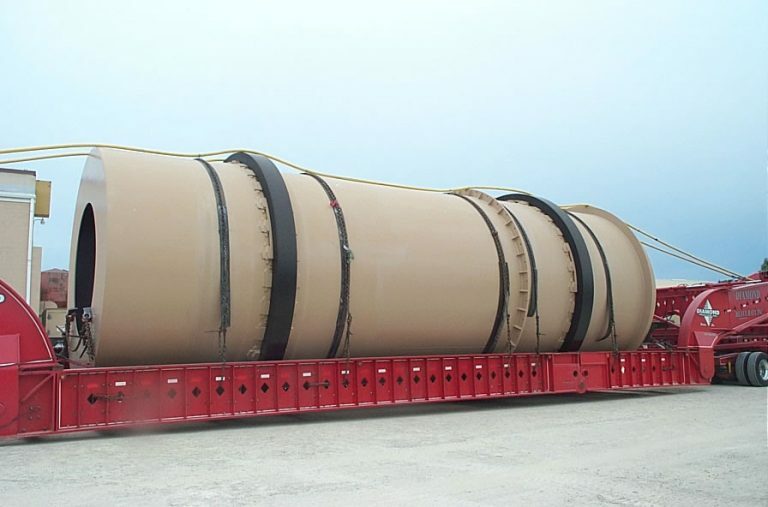 We design our drums according to the needs of your unique process and material. 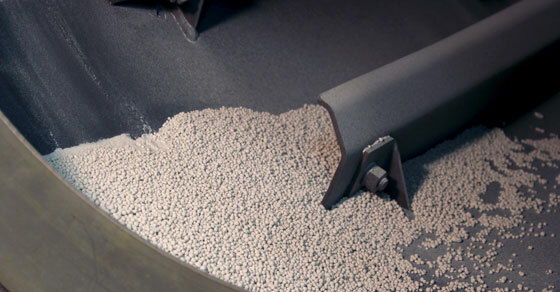 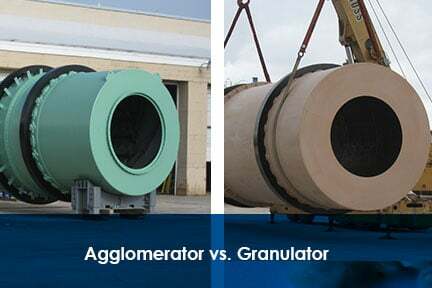 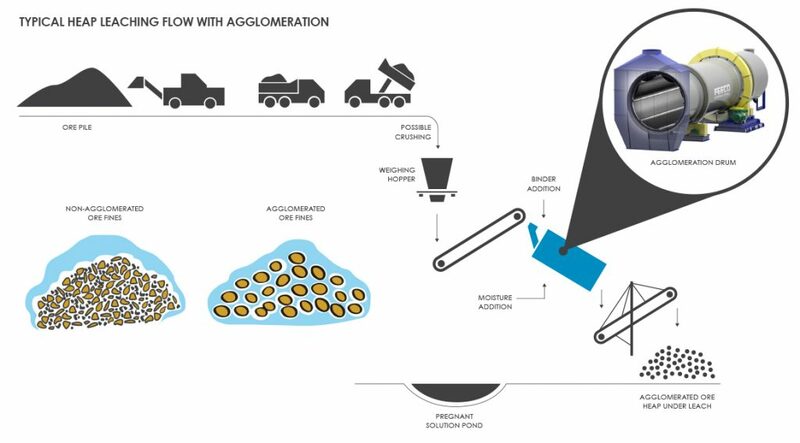 Agglomeration drums are an ideal solution for high capacity agglomeration operations, or when agglomeration needs to be combined with a chemical reaction, such as in the production of granular fertilizers. 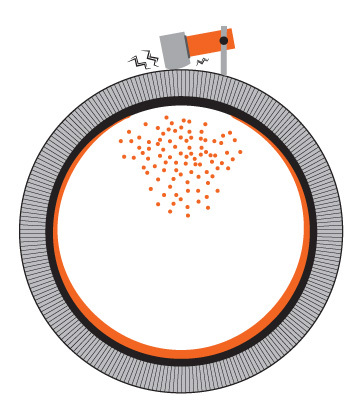 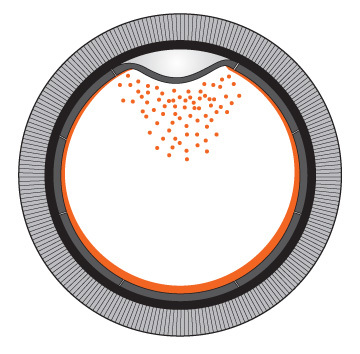 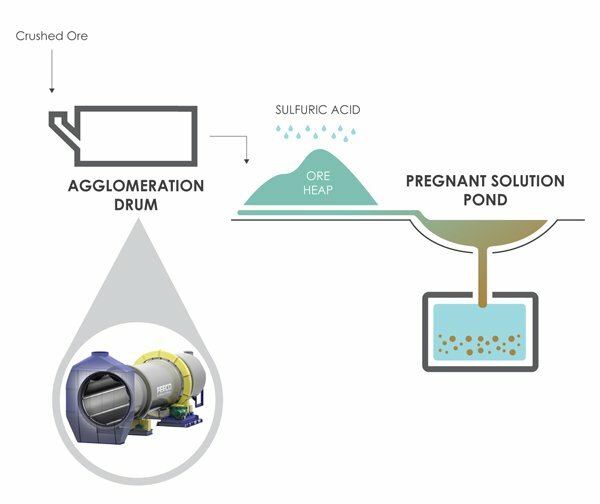 Agglomeration drums work by tumbling material in a rotating drum in the presence of a binding agent. 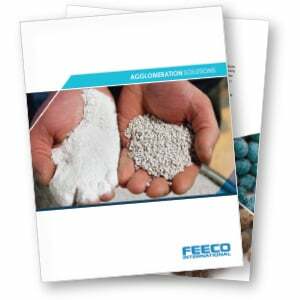 The binding agent causes the fines to become tacky and allows them to pick up additional fines, forming agglomerates in a process referred to as coalescence. 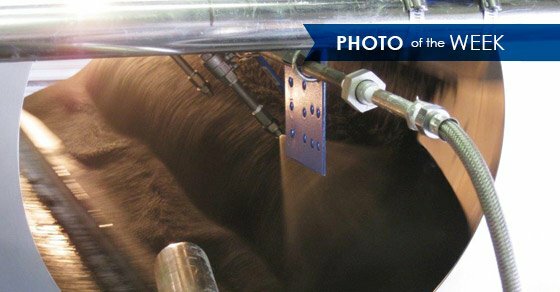 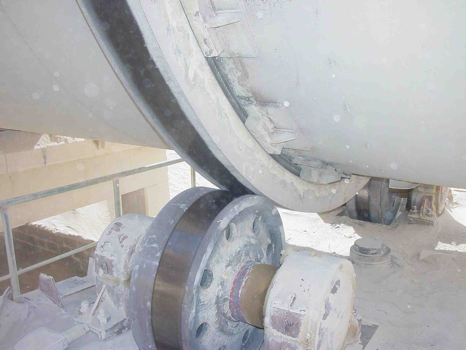 The tumbling action helps to round the agglomerates and create a homogenous mixture. 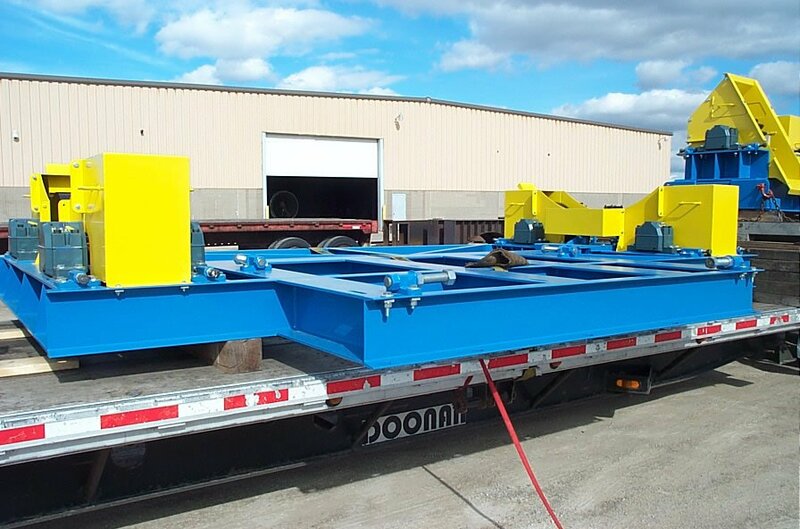 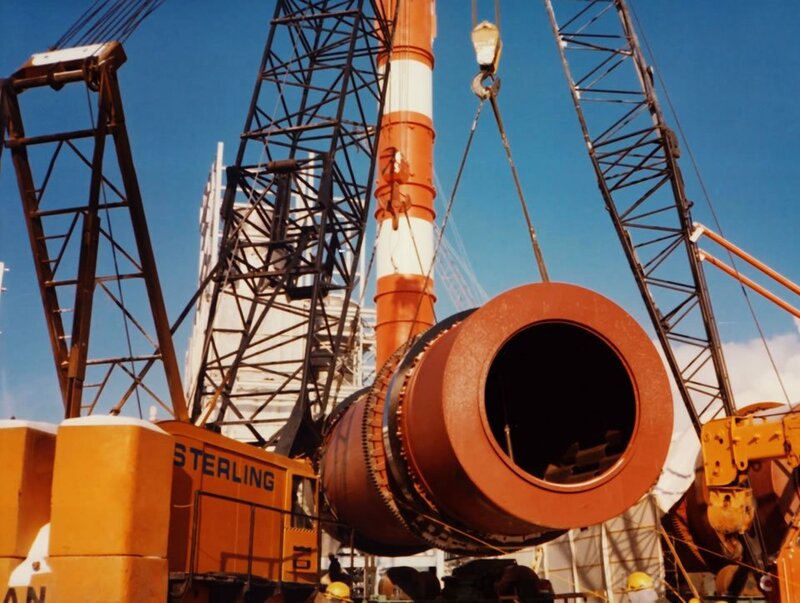 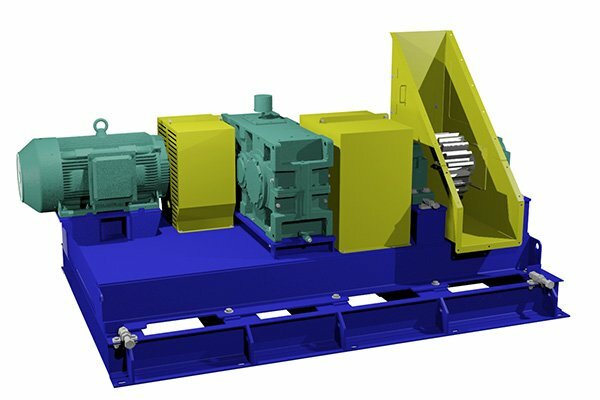 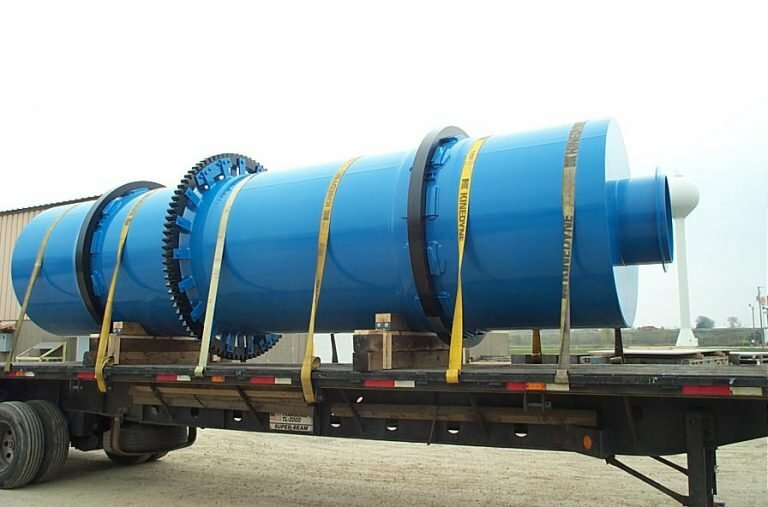 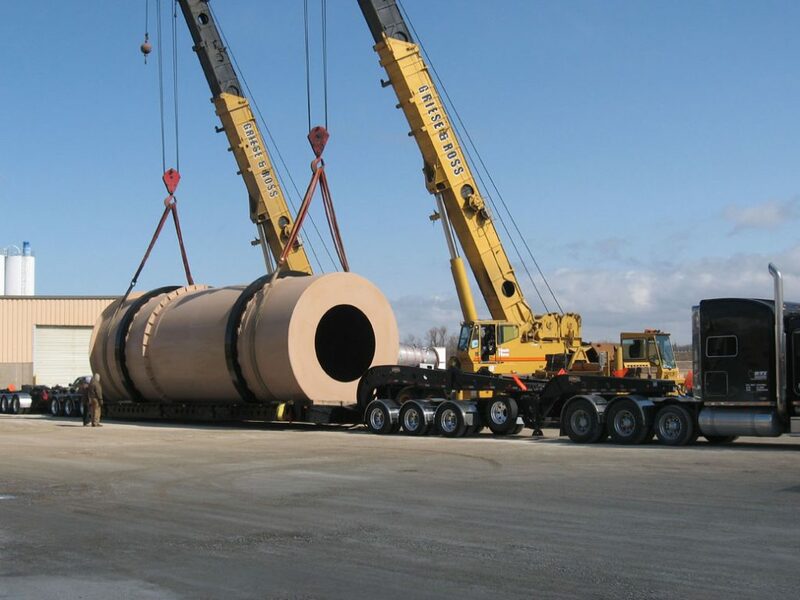 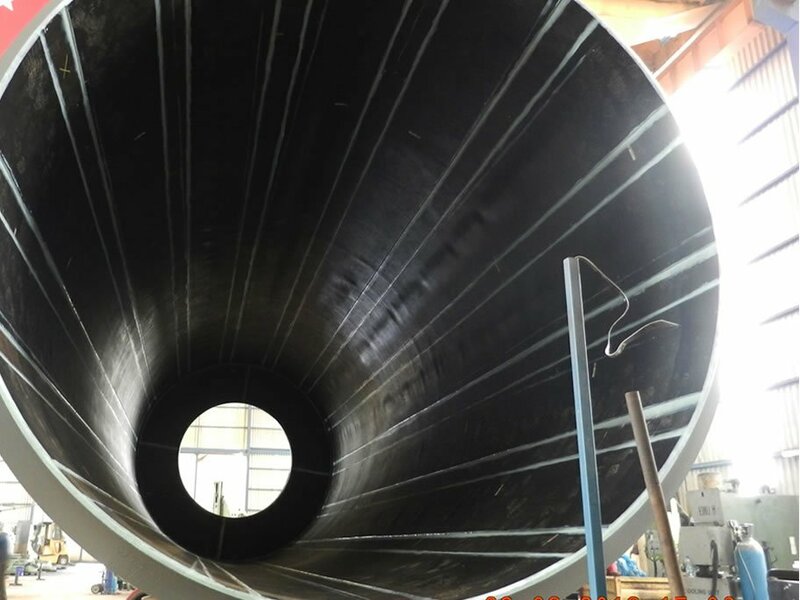 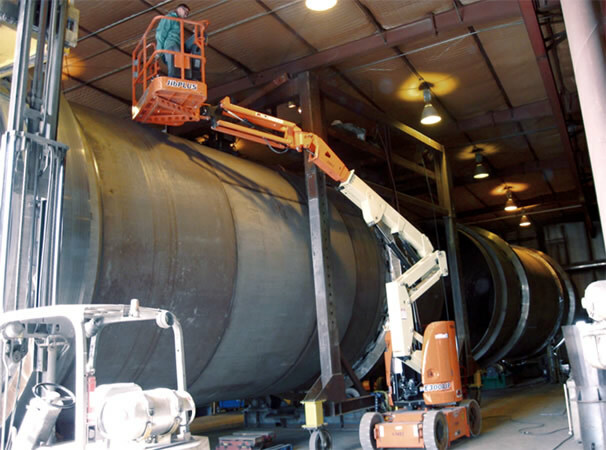 Our custom designs can also easily accommodate the addition of other equipment and accessories such as pipe reactors, discharge trommel screens, spray bars, and spargers. 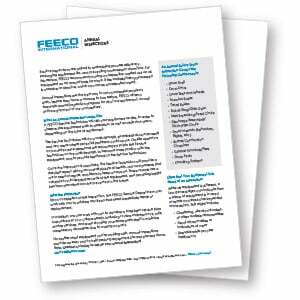 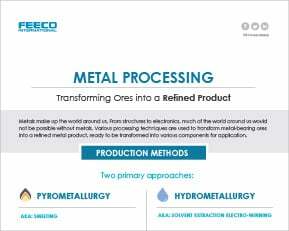 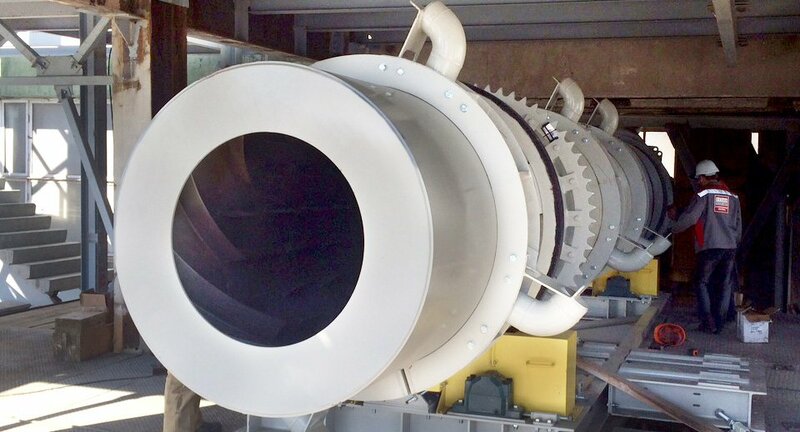 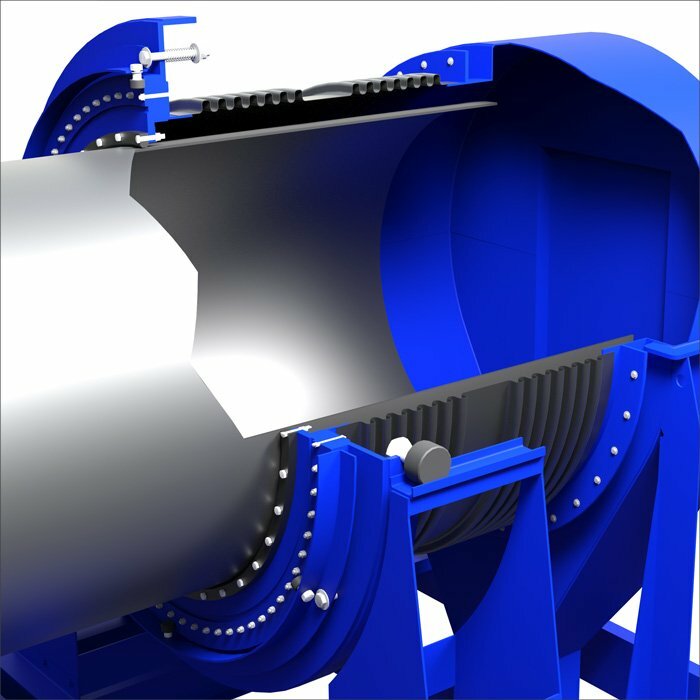 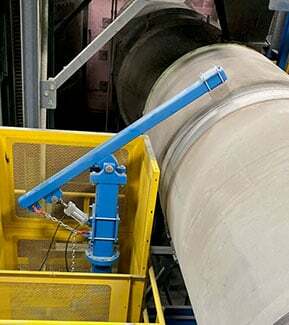 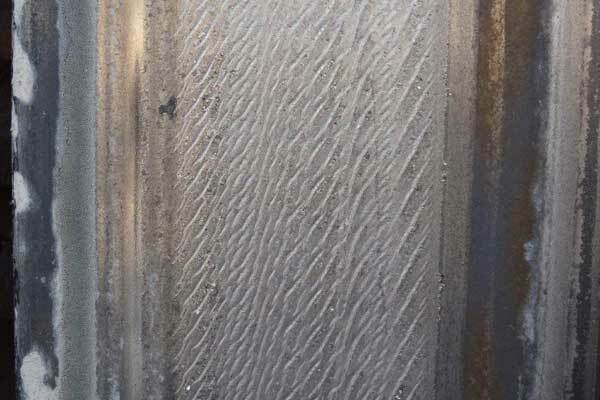 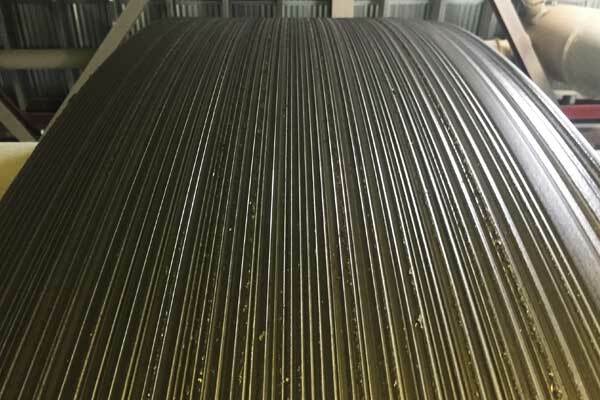 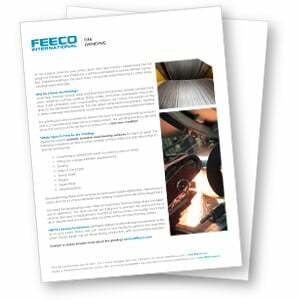 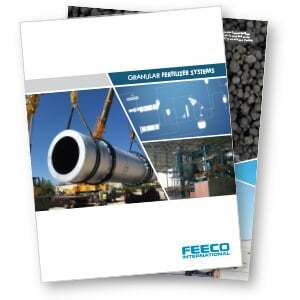 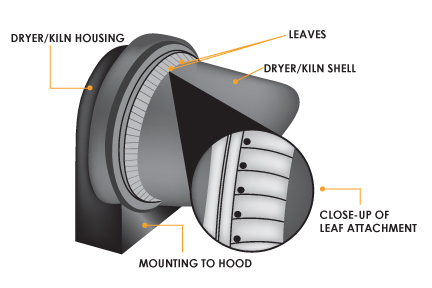 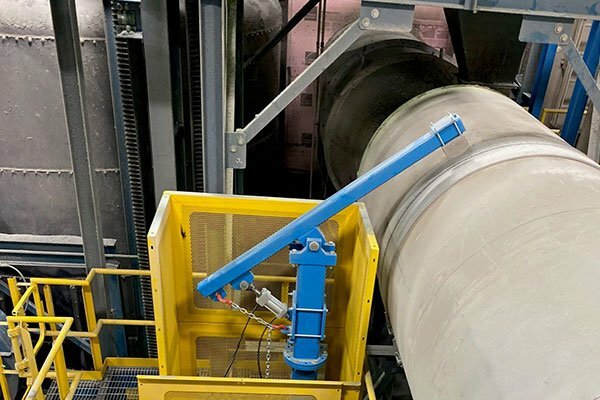 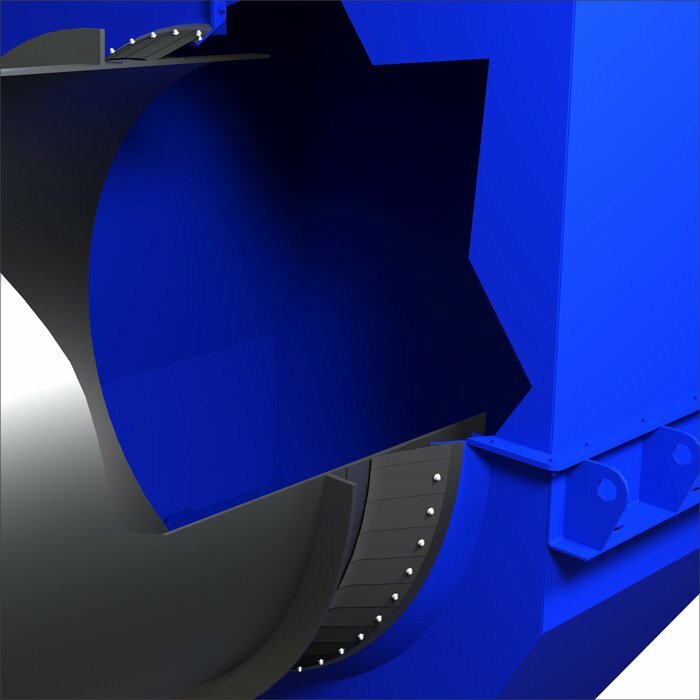 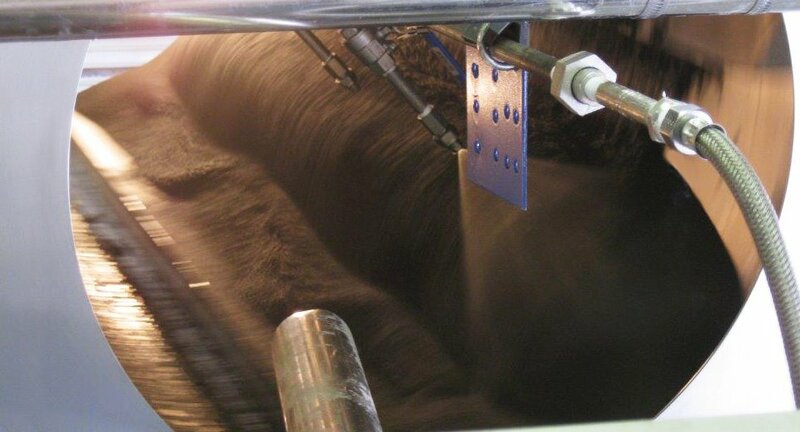 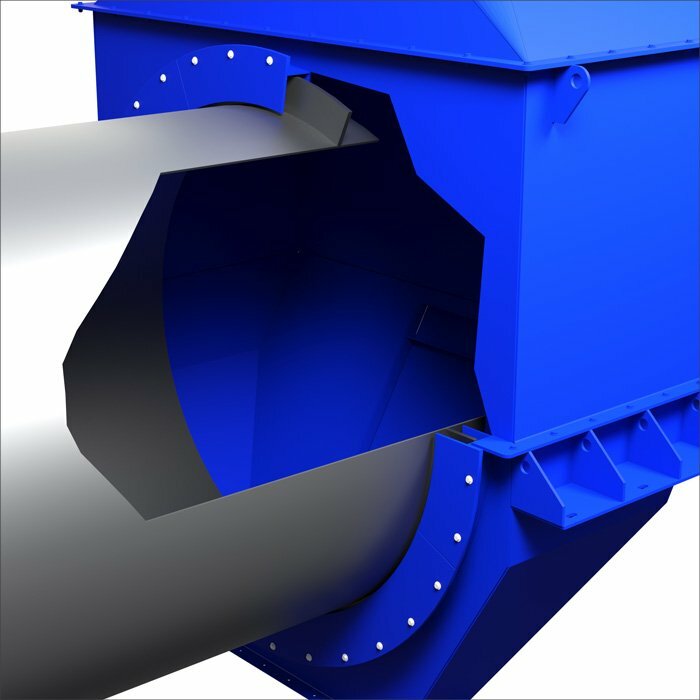 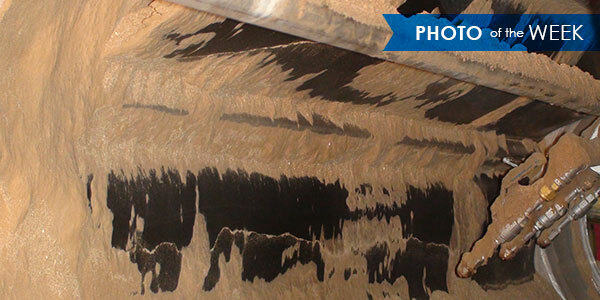 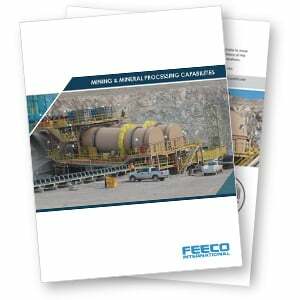 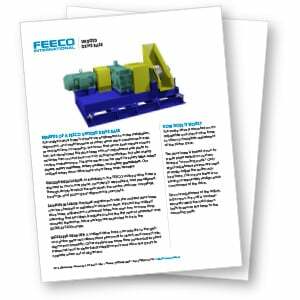 If you need to control emissions or dusting, FEECO’s discharge breeching design makes capturing these materials easy, so you don’t have to worry about contamination of the surrounding area. 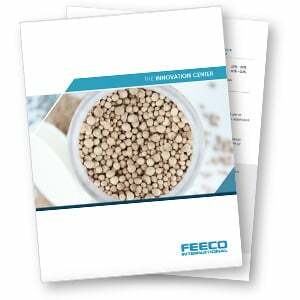 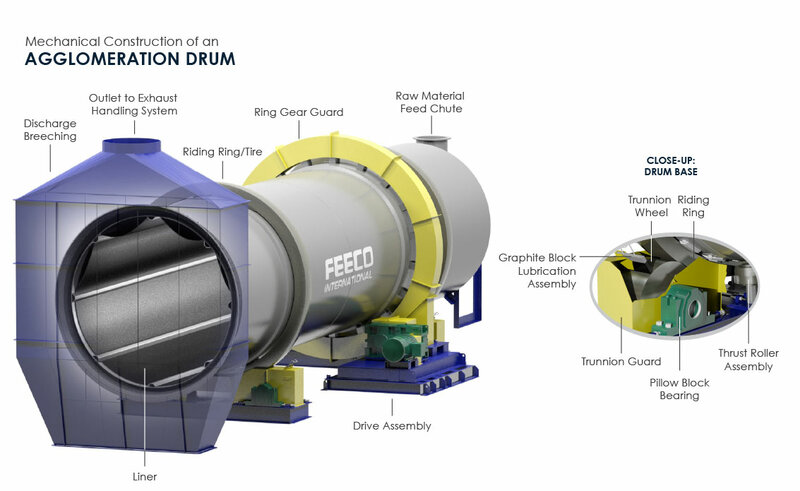 All FEECO agglomeration drums utilize our unitized drive base. 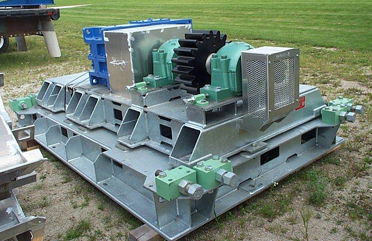 The drive system is mounted on an adjustable, one piece drive base, which is bolted down to a sole plate resting on custom leveled mounting pads. 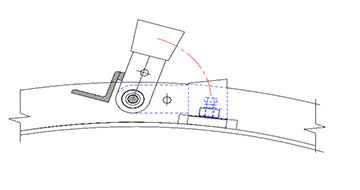 Adjustment screws are included to easily adjust the entire drive base, avoiding the hassle of having to realign each component separately. 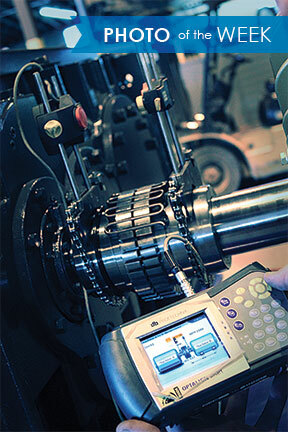 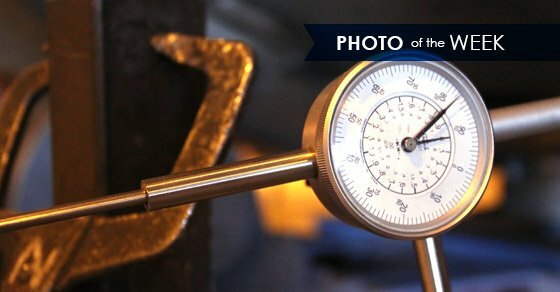 This results in quicker installation, savings in labor, and increased gear/sprocket life. 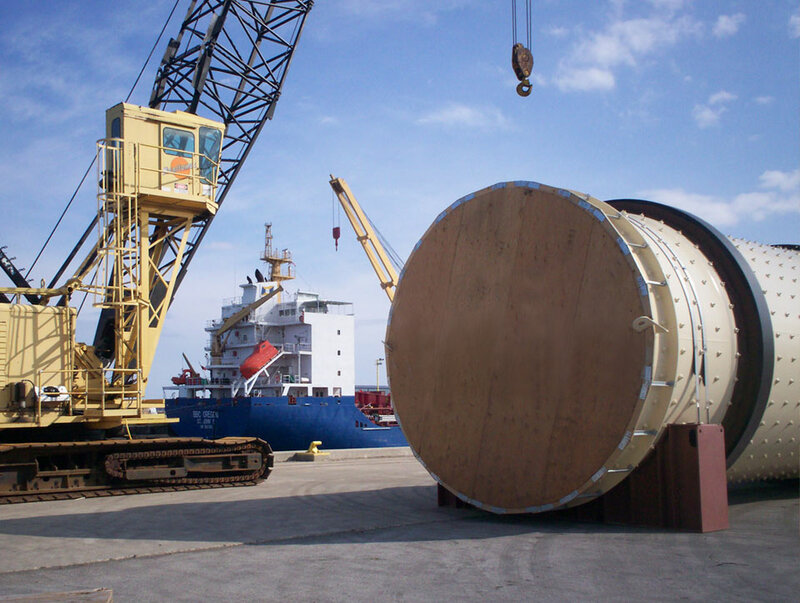 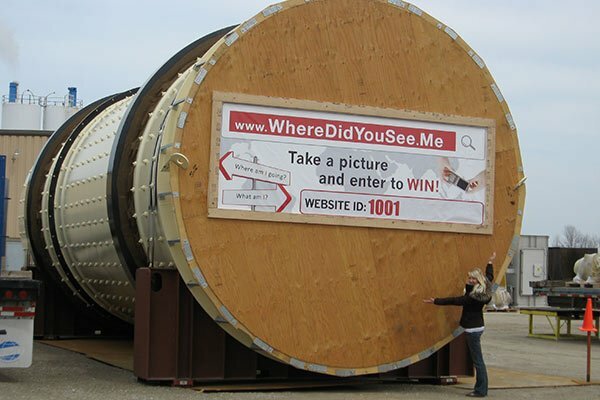 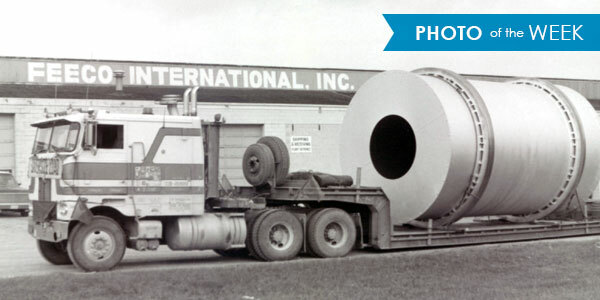 A rotary drum awaits shipment to FEECO's customer. 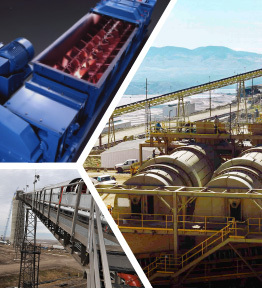 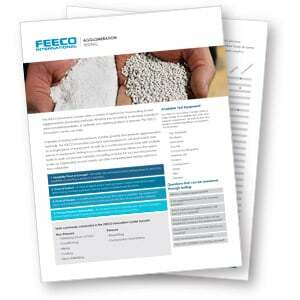 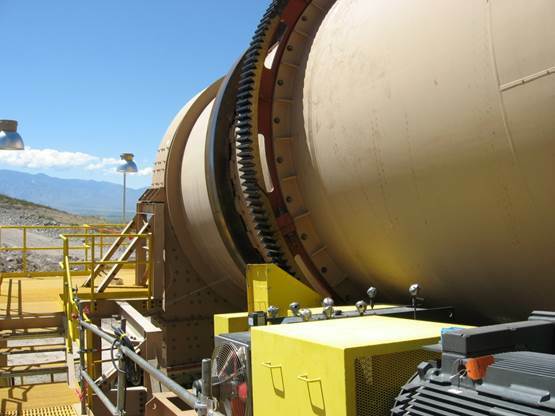 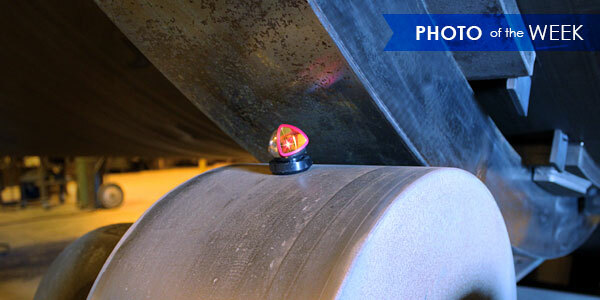 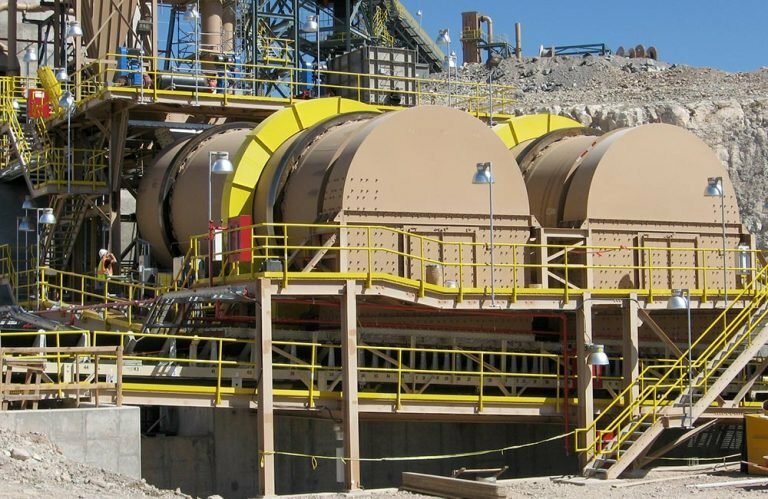 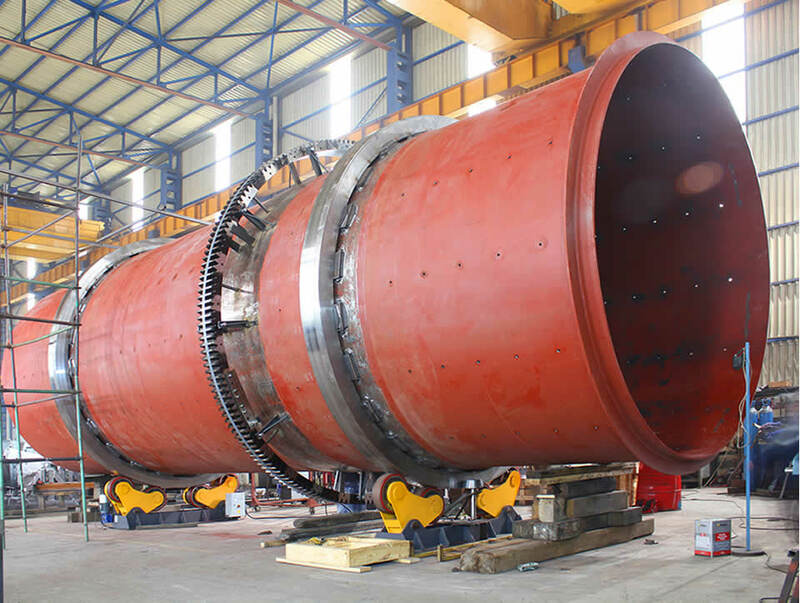 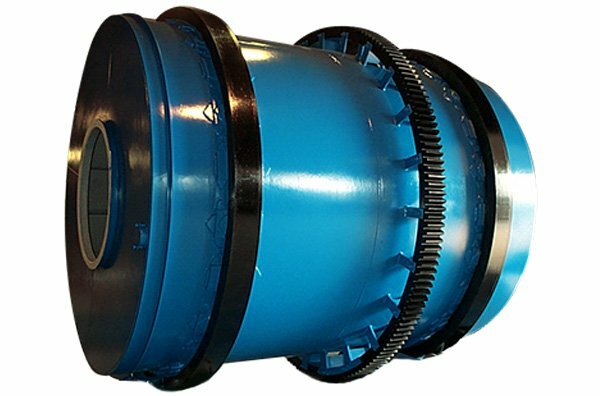 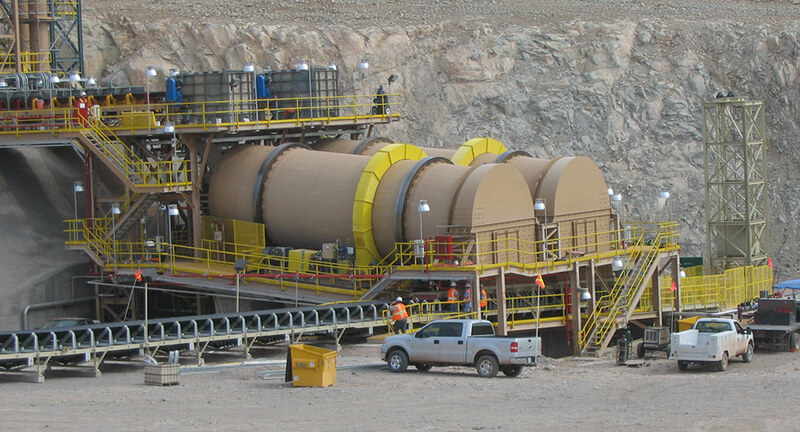 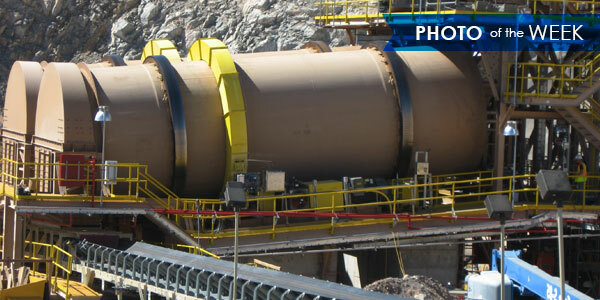 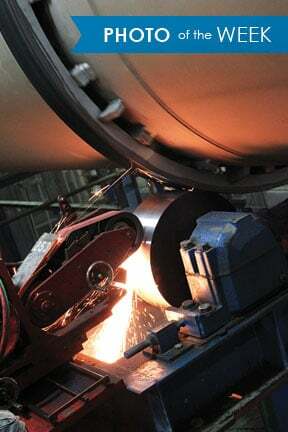 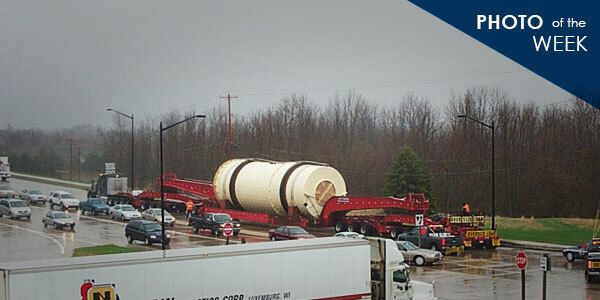 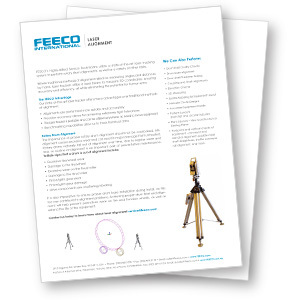 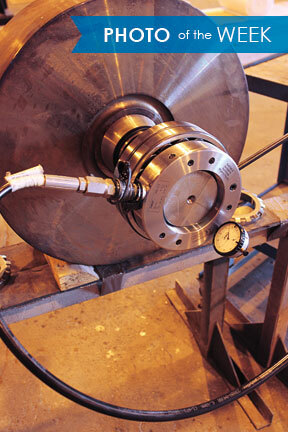 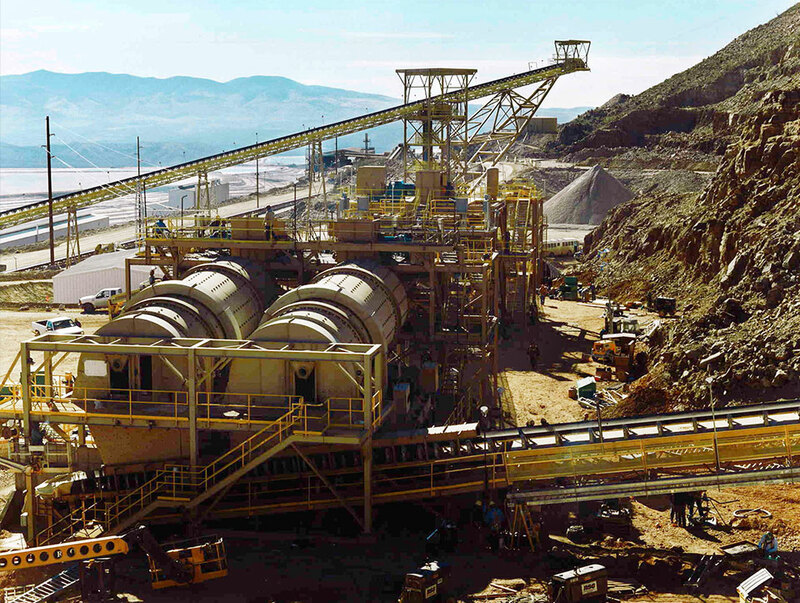 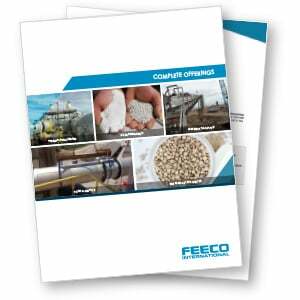 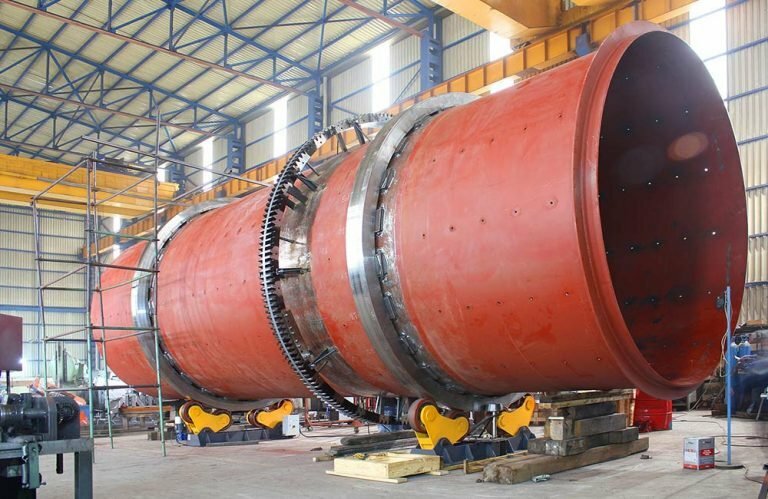 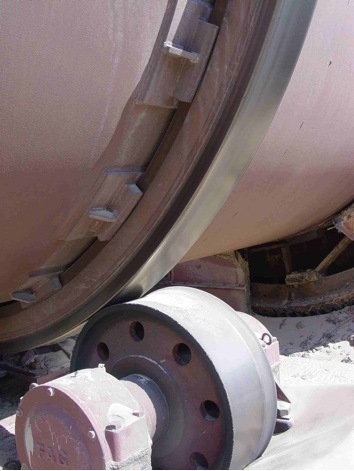 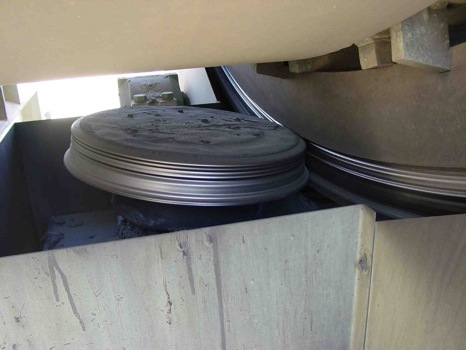 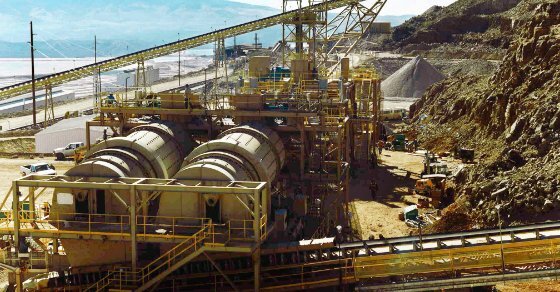 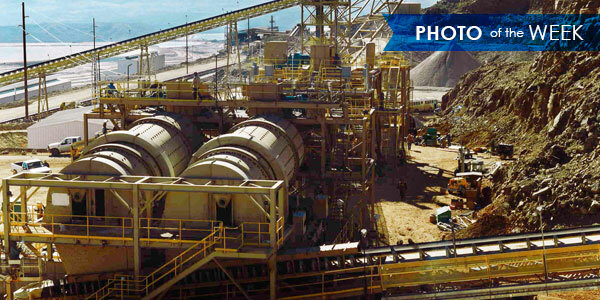 FEECO’s agglomeration drums are known industry wide as the choice for heavy-duty applications. 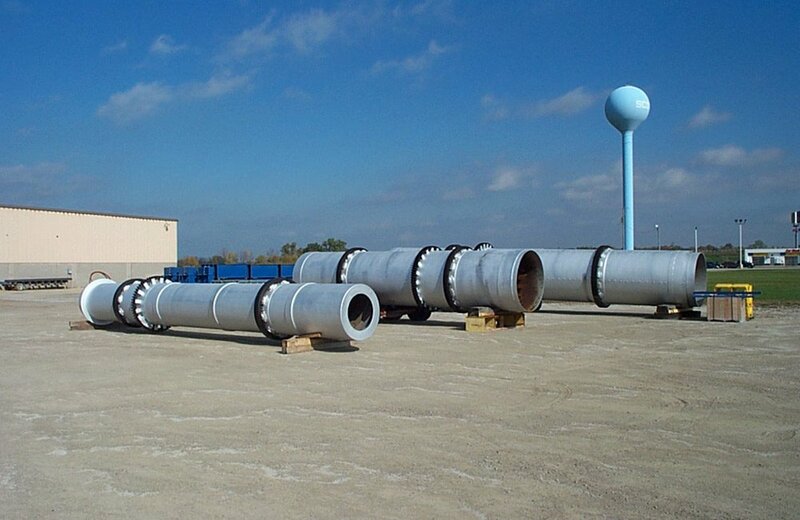 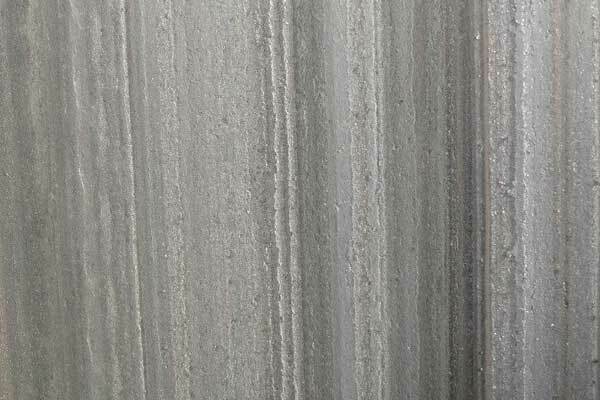 Their durable design makes them the ideal choice for intensive applications. 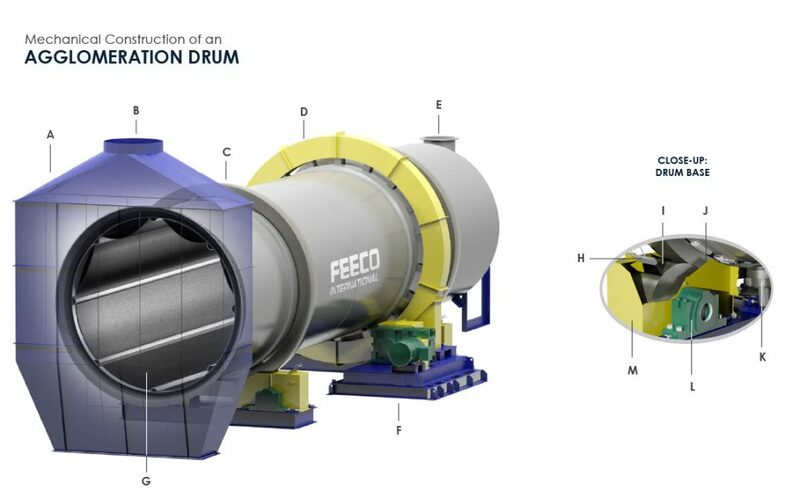 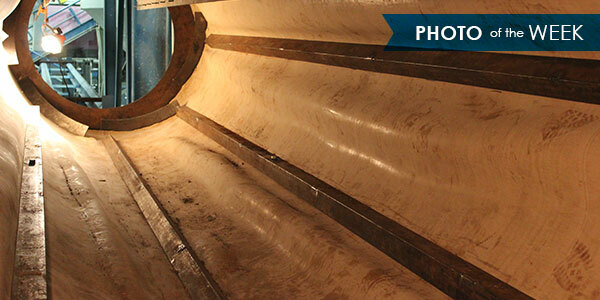 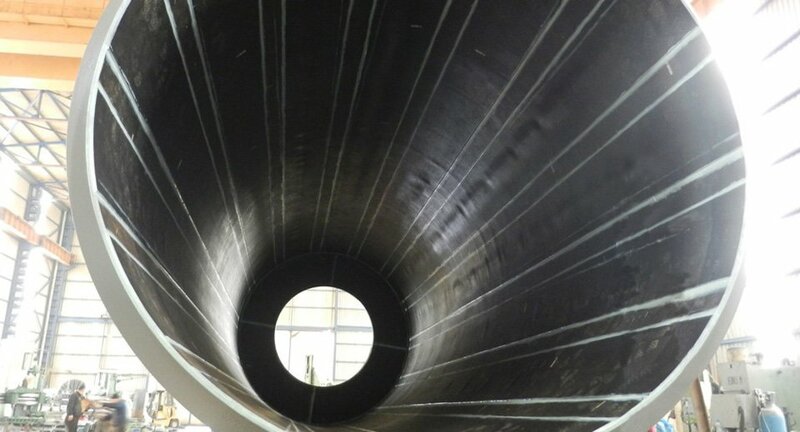 Best of all, FEECO’s agglomeration drums are backed by over 60 years of experience.